Launched in 1950 by Charles & Ray Eames, the Fiberglass Chairs introduced a new furniture typology: the multifunctional chair whose shell can be combined with a variety of bases to serve different purposes. The material of the shell’s fibreglass owes its charm to an irregular surface, which appears almost like a natural material thanks to its clearly visible fibres. Until then fibreglass was unknown in the furniture industry, having been primarily restricted to military applications such as aircraft radomes and cockpit covers. The Eameses recognised and fully exploited the advantages of the material: mouldability, rigidity and suitability for industrial manufacturing methods. They successfully developed the moulded seat shells for mass production: the Fiberglass Chair was born. Its organically shaped, one-piece shell proved to be a much-admired innovation at a time when chairs typically consisted of a seat and backrest. Fibreglass offered the added advantage of pleasant tactile qualities and a perfectly moulded form for optimal comfort. For Charles and Ray Eames, black was not just black but a colour with many dimensions. The couple mainly used a limited scale of subtle and neutral colours for their furniture designs, but each palette was thoroughly researched and carefully selected. While working on the Eames Fiberglass Chairs in the early 1950s, Charles and Ray Eames designed a range of nuanced shades for the chairs. 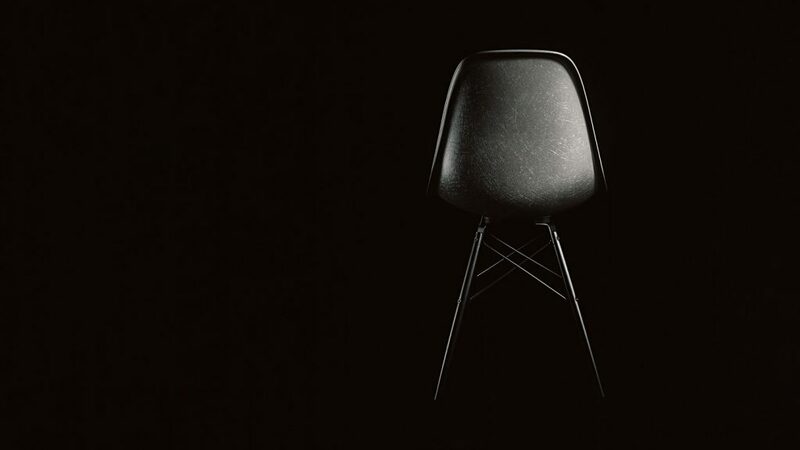 No colours for fibreglass had existed before Charles and Ray Eames designed their plastic chairs. The first fibreglass colours developed by the Eameses were Greige, a portmanteau which hinted at a beige-grey, Elephant Hide Grey, a warm black-grey, and Parchment, which was notoriously translucent. Shortly afterward, still in the early production phase, Sea Foam Green was added, along with a bright Lemon Yellow and a fresh Red Orange. Later these were followed by an array of other colours. One hue that apparently caused the most frustration and was the most difficult to achieve was a warm blackish grey – after several attempts Charles Eames expressed: ‘What I really want is a black with feeling’. These efforts ultimately resulted in the colour the Eameses called Elephant Hide Grey. So it’s summer and you’re hooked on classics? Why not extend your taste to the outside? Here’s a few classic designs suitable for outdoor use. Add some style to your office roof terrace, alfresco dining area, garden, patio, balcony or even your shed! Italian designer Harry Bertoia patented the Bertoia Collection for Knoll in 1952. The classic design features welded steel rods, for the outdoor version coated in Rilsan durable nylon in black or white. The collection features a side chair (below), the classic “Diamond” armchair (above) and the Asymmetric Chaise. Optional leather seat pads are available for the side chair and “Diamond“. For the more budget conscious there is the Bertoia Plastic Side Chair, a new version of the side chair is now available featuring a plastic shell and the “Diamond” chair has recently been price revised. Both represent excellent value for money. Designed by Charles & Ray Eames in 1951, Vitra’s classic Eames DKR Wire chair is now available in cream, black or grey powder coated finishes ideally suited for outdoors use. In addition the Bistro Table designed in 2009 by Rowan and Erwan Bouroullec in a solid core laminate version completes the set for the garden environment. Conceived by Verner Panton in 1960, the Panton chair was developed for serial production in collaboration with Vitra. It was the first chair to be manufactured completely out of plastic in one single piece, advancing through several production phases before finally being produced as originally conceived – out of durable, dyed-through plastic with a lustrous matte finish since 1999. Designed by Lievore Altherr Molina in 2005, the Leaf chair & table range has quickly become a classic. The design is inspired by nature, the chair’s welded rods reminiscent of branches of a tree or leaf veins and the table invoking a pebble. Leaf is available as a sled side chair, lounge chair and chaise in matte powder-coated steel in white, green or moka. A detachable polyurethane cushion is available for indoor and outdoor use. The range of circular and square tables are available in a water-repellent HPL top in grey. Designed in 1999 by Ron Arad the elegant plastic shell of Tom Vac offers comfortable seating not only in interior spaces but also in outdoor settings: special additives in the moulded polypropylene shell retard the fading of colours, and the powder-coated finish of the base makes the chair suited for use on the terrace or in the garden. Since the chair can be stacked, it is especially useful in places where large numbers of chairs are required. With Vegetal, the Boroullec’s goal was to create a chair that aspired to look like natural vegetation while simultaneously incorporating the necessary strength, stability and comfort. The flat, branch-like ribs are asymmetrically intertwined on three levels to form the seat shell, which is shaped as an irregular circle and supported by four legs that appear to sprout from the ground. Vegetal is available in six colours and is suitable for indoor or outdoor applications and can be stacked up to three chairs high, which permits flexible use in a variety of settings and in large numbers. With HAL, Jasper Morrison has reinterpreted the multi-functional shell chair and created a versatile family of chairs with a clean contemporary look. The shape of the seat shell provides great freedom of movement in a variety of sitting positions – even sideways or astride the chair. The HAL Tube is suitable for outdoor use and combines a polypropylene shell in a choice of 8 colours and powder-coated base in ivory or basic dark. The Panto Pop is a stacking lounge chair with a UV-filter for outdoor use available in white or red. Designed by Verner Panton in 1969 the Panto Pop is now exclusively marketed by Verpan. Accompanying Panto Pop is the Illumesa table. Made in white acrylic for outdoor use the table is self-illuminated by a 23W internal light source. The tiny tots needn’t miss out on the outdoor fun either as Panto Pop and Illumesa (above) are equally at home with tiny hands and Vitra offer a variety of classics for children. As well as the Panton Junior, there is the Eames Elephant (1945) and Sori Yanagi’s Elephant Stool (1954) which also makes for a handy side table to go with your other classics.